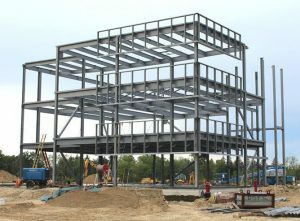 Structural Steel has evolved to be a popular building material of choice for several construction specialists for developing residential abodes to skyscrapers. Architects and contractors are keen to use structural steel over concrete or wood, owing to the several benefits on offer. Structural steel frames and Tekla structural steel design carry a fantastic aesthetic appeal too, along with design flexibility combined with robust strength and ease of maintenance. Structural Steel is more durable than other materials and does not age or decay faster compared to other construction materials. It also boasts of a better strength-to-weight ratio along with a tensile strength that can help architects and builders to make lighter buildings with less costly foundation. The strength, stiffness, and toughness of structural steel allow it to be molded into a variety of shapes. The structural steel implementation involves bolting and welding of discrete pieces while concrete takes several weeks to be fixed in place. Also, structural steel enables better compression and tension stress, thus allowing architects the flexibility to design better and make several minute changes. Structural steel design is aligned with varied standards and regulatory policies thus making them perfect to erect after fabrication. Their streamlined efficiency and effectiveness saves time and money with high ROI and reduced expenses. The short construction periods reduce hassles in the neighborhood and save developers a huge amount of money on community PR and building permits. Additionally, the cost-effectiveness of steel makes them an ideal structural solution with multiple steel fabrication industries making inroads into technological progress through innovation and foresighted vision. Developers now have unrestricted access to quality structural steel at lower costs too. The International Building Code stipulates that steel structures need to be completely coated with fire-resistant material. This is because the steel in itself could lose its strength and integrity in case of a fire breakout. Steel now bears water-resistant coatings too to prevent corrosion. Fire-resistant coatings are water-resistant too. One of the major advantages of structural steel is that it lacks porosity that breeds mold and mildew, making it perfect for residential avenues. Off-site fabrication and quick component, assembly add major brownie points to any construction site. Steel is also recyclable, and thus environment-friendly. Structural steel and Tekla structures may have any aesthetic shortcomings compared to concrete, brick, and wood, but it is certainly advantageous in more ways than one. The major cons of using structural steel have been its reactions to water and heat, but that problem has been addressed by several innovative applications and industry standard organizations. One can expect the reach and efficiency of structural steel to grow in recent years, as new changes and innovations are introduced in the coming months. Also, it is important to hire structural steel design experts and experienced professionals for the best possible designs and drawings, thus giving a chance to architects and builders to leverage the same for creating outstanding edifices in diverse ways. Next Next post: Structural Steel vs. Reinforced Concrete – Which is Stronger?